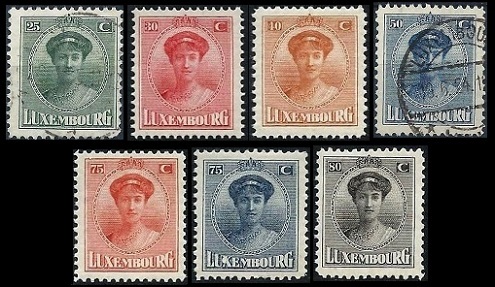 The definitive Luxembourg stamps of 1914 to 1926 feature the first high-denomination pictorial stamps and two different sets of portrait stamps, necessitated by the accession to the throne of TWO new Grand Duchesses. 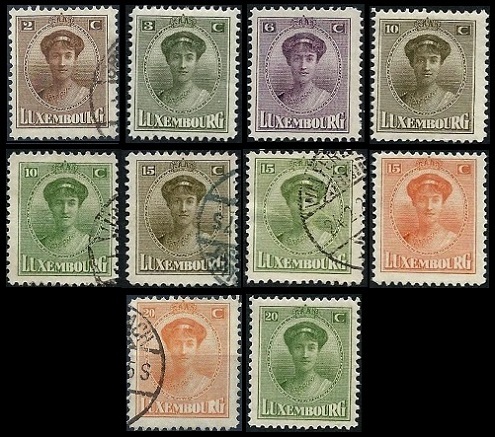 The fifteen higher-denomination portrait definitive Luxembourg stamps shown above were issued between 1914 and 1917. These new stamps were engraved on unwatermarked paper, and they are perforated 11, 11 1/2, or 11 1/2 x 11. The common design features the facing portrait of Grand Duchess Marie Adelaide of Luxembourg. 10 C. (1914 - Sc. #97) - Lake. 12 1/2 C. (1914 - Sc. #98) - Dull Green. 15 C. (1914 - Sc. #99) - Sepia. 17 1/2 C. (1917 - Sc. #100) - Deep Brown. 25 C. (1914 - Sc. #101) - Ultramarine. 30 C. (1914 - Sc. #102) - Bister. 35 C. (1914 - Sc. #103) - Dark Blue. 37 1/2 C. (1914 - Sc. #104) - Black Brown. 40 C. (1914 - Sc. #105) - Orange. 50 C. (1914 - Sc. #106) - Dark Gray. 62 1/2 C. (1914 - Sc. #107) - Blue Green. 87 1/2 C. (1917 - Sc. #108) - Orange. 01 F. (1914 - Sc. #109) - Orange Brown. 02 1/2 F. (1914 - Sc. #110) - Red. 05 F. (1914 - Sc. #111) - Dark Violet. 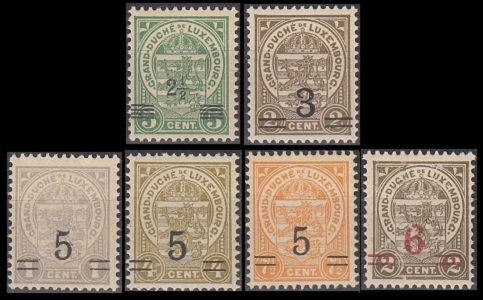 The thirteen definitive Luxembourg stamps of 1906-1919, shown above, were overprinted and re-valued between 1916 and 1924. 02 1/2 C. on 05 C. (1918 - Sc. #112) - Green. 03 C. on 02 C. (1921 - Sc. #113) - Olive Brown. 05 C. on 04 C. (1923 - Sc. #115) - Bister. 05 C. on 07 1/2 C. (1924 - Sc. #116) - Orange. 06 C. on 02 C. (1922 - Sc. #117) - Olive Brown. 07 1/2 C. on 10 C. (1918 - Sc. #118) - Lake. 17 1/2 C. on 30 C. (1916 - Sc. #119) - Bister. 20 C. on 17 1/2 C. (1921 - Sc. #120) - Deep Brown. 25 C. on 37 1/2 C. (1923 - Sc. #121) - Black Brown. 75 C. on 62 1/2 C. (1922 - Sc. #122) - Blue Green. 80 C. on 87 1/2 C. (1922 - Sc. #123) - Orange. 87 1/2 C. on 01 F. (1916 - Sc. #124) - Orange Brown. 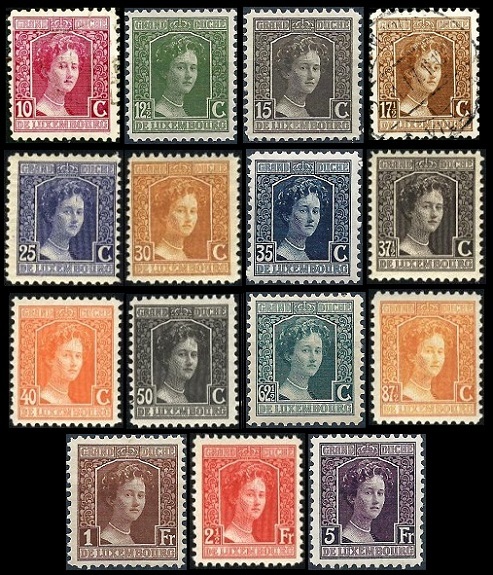 The eighteen higher-denomination portrait definitive Luxembourg stamps shown above were issued between 1921 and 1926. These new stamps were engraved on unwatermarked paper, and they are perforated 11 1/2. The common design features the facing portrait of Grand Duchess Charlotte of Luxembourg. 02 C. (1921 - Sc. #131) - Brown. 03 C. (1921 - Sc. #132) - Olive Green. 10 C. (1921 - Sc. #134) - Yellow Green. 10 C. (1924 - Sc. #135) - Olive Brown. 15 C. (1921 - Sc. #136) - Brown Olive. 15 C. (1924 - Sc. #137) - Pale Green. 15 C. (1926 - Sc. #138) - Deep Orange. 20 C. (1921 - Sc. #139) - Deep Orange. 20 C. (1926 - Sc. #140) - Yellow Green. 25 C. (1921 - Sc. #141) - Dark Green. 30 C. (1921 - Sc. #142) - Carmine Rose. 40 C. (1921 - Sc. #143) - Brown Orange. 50 C. (1921 - Sc. #144) - Deep Blue. 50 C. (1924 - Sc. #145) - Red. 75 C. (1921 - Sc. #146) - Red. 75 C. (1924 - Sc. #147) - Deep Blue. 80 C. (1921 - Sc. #148) - Black. 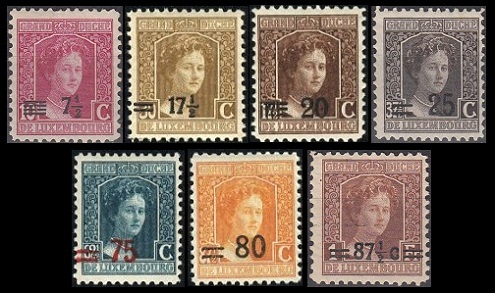 The 3 C., 6 C., 20 C. (orange), 75 C. (red), and 80 C. denominations were also issued in Souvenir Panes of 25 stamps. The 3 C. and 6 C. denominations are relatively common. The higher denominations are very scarce. 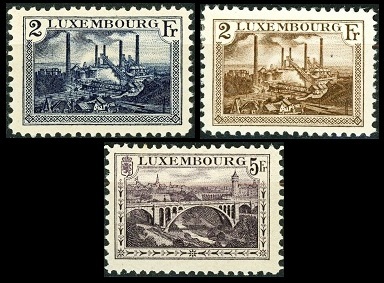 The five high-denomination pictorial definitive Luxembourg stamps shown above were issued between 1921 and 1926. They are all engraved on unwatermarked paper. They exist with perforation gauges 11, 11 1/2, 11 x 11 1/2, and 11 1/2 x 11. 01 F. (1921 - Sc. #126) - Vianden Castle - Carmine. 01 F. (1926 - Sc. #127) - Vianden Castle - Dark Blue. 02 F. (1921 - Sc. #128) - Foundries at Esch - Indigo. 02 F. (1926 - Sc. #129) - Foundries at Esch - Dark Brown. Esch-sur-Alzette is a commune in Southwestern Luxembourg and the country's second largest city. During the 19th Century, iron deposits were found there, and the town quickly became the center for steel production in Luxembourg. Today, the blast furnaces have long since been removed, and urban development has taken place were the foundries were once located. 05 F. (1921 - Sc. #130) - Adolphe Bridge - Dark Violet. The Adolphe Bridge is an arch bridge in Luxembourg City which was built between 1900 and 1903. The bridge is named in honor of Grand Duke Adolphe of Luxembourg, the monarch during the time that the bridge was being constructed. 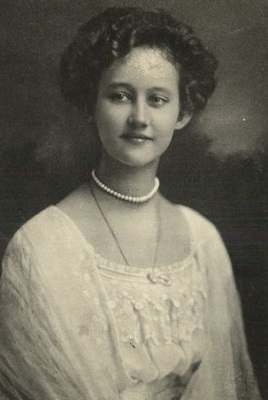 Marie Adelheid Therese Hilda Wilhelmine (1894-1924) was the first Grand Duchess of Luxembourg since Maria Theresa (1717-1780), also the Empress of Austria, and the first Luxembourg monarch to be born within the country since John the Blind (1296-1346). 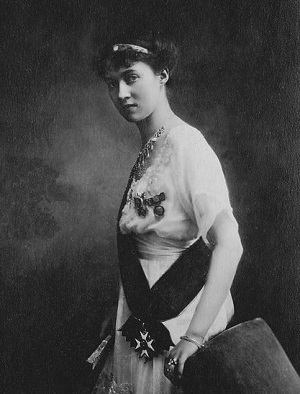 She ascended to the throne, as Grand Duchess Marie-Adelaide of Luxembourg on February 25, 1912. During World War I, she apparently supported the German occupation forces within her country. This made her very unpopular in France, Belgium, and with many of her own subjects. With monarchies disappearing all over Europe, in the aftermath of World War I, she moved to save the Luxembourg monarchy by abdicating on January 15, 1919. Her younger sister, Charlotte (1896-1985) ascended to the throne as the next Grand Duchess of Luxembourg. Living in exile, Marie-Adelaide died from influenza on January 24, 1924. She was only 29 years old. Charlotte Adelgonde Elisabeth Marie Wilhelmine (1896-1985) ruled as the Grand Duchess of Luxembourg from 1919 to 1964. During the course of her life, she and her husband, Prince Felix of Bourbon-Parma, saw their lineage grow to six children, 27 grandchildren, 78 great-grandchildren, and 27 great-great-grandchildren. At the beginning of World War II, Luxembourg declared itself as "neutral", but the Germans overran Luxembourg anyway. Grand Duchess Charlotte went to London in 1940, and in 1943, a government in exile was established in Great Britain. She was regarded by her subjects as a symbol of Luxembourg resistance during the war. After the war, Charlotte worked to raise Luxembourg's international profile through her many international visits, and by hosting visits by foreign heads-of-state. On November 12, 1964, Charlotte abdicated in favor of her 43 year old son, Jean (Born 1921), who would serve as the Grand Duke of Luxembourg for the remainder of the 20th Century. The 15 C. denomination definitive stamp shown above (Sc. #125) was issued in rose on January 6, 1921 to celebrate the Birth of Prince Jean, the first son of Grand Duchess Charlotte. The stamps were issued in panes of 100 stamps, however, panes of 5 stamps (shown above) and 25 stamps were also made available as souvenirs. 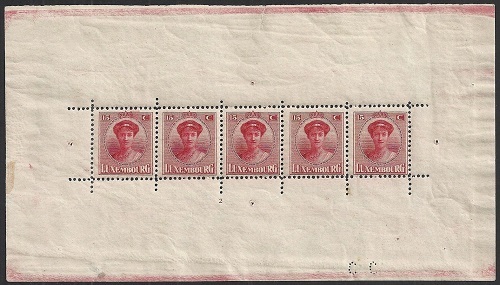 The panes of 25 stamps are common, but the panes of 5 stamps are rather scarce.